Thum! Kaun Aata Hai? : Navy Initiates Procurement of Short Range Surface-to-Air Missile (SRSAM) System for Naval Surface Platform: IDP Exclusive! Navy Initiates Procurement of Short Range Surface-to-Air Missile (SRSAM) System for Naval Surface Platform: IDP Exclusive! The Indian Navy on August 6, 2014 initiated procurement of a Short Range Surface to Air Missile (SRSAM) System for Indian Naval ships. The Navy appears open to both vertical launch, canister based missile system; or over the deck, mechanical, rail launched system featuring automating loading from below deck missile storage compartments. The former are better suited to stealthy warships. The system is required to be capable of engaging targets traveling at up to Mach 3. The type of initial guidance is not stipulated but the missile is required to feature active RF seeker for the terminal guidance. A minimum service life of 10-years is mandated, with provision to extend the life based on periodic inspection. The entire system should be easily transportable from ashore to a ship in containers mounted on vehicles. The Navy's willingness to accept an over the deck rail launch could mean the immediate requirement is for a non stealthy warship. It maybe noted that INS Vikramaditya currently does not have a Close-In Warfare System (CIWS) to neutralize anti-shipping missiles, or a long range Point Defense Missile System (PDMS) system to defend against fighter and bomber threats. The CIWS is slated to be fitted in April-June 2015 at the Karwar naval base. On June 18, 2014, Indian Express reported that the an AK 630 system manufactured in India would be fitted. 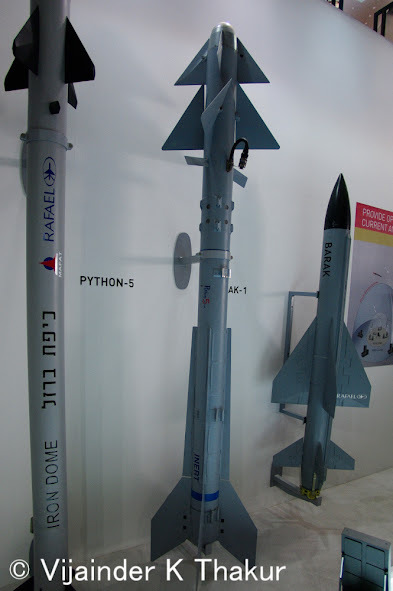 Navy sources told The Tribune in June 2014 that the PDMS would be either the Israeli Barak or Russian Shitil missiles. LR-SAM - Why it's Worth the Wait!